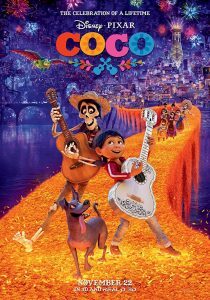 As the Day of the Dead draws near, young Miguel defies his family to enter a talent contest – but borrowing a guitar from the tomb of a local musical icon spirits him (and lovable stray dog Dante) into the afterlife, where the carnival is also in full swing! Can Miguel find a way back with the blessing of his late relatives – and even solve a family mystery? Pixar’s celebration of Mexican culture is a return to the heights of Inside Out and Wall-E – an unequivocally life-affirming, hilarious, moving and wondrously designed masterpiece.